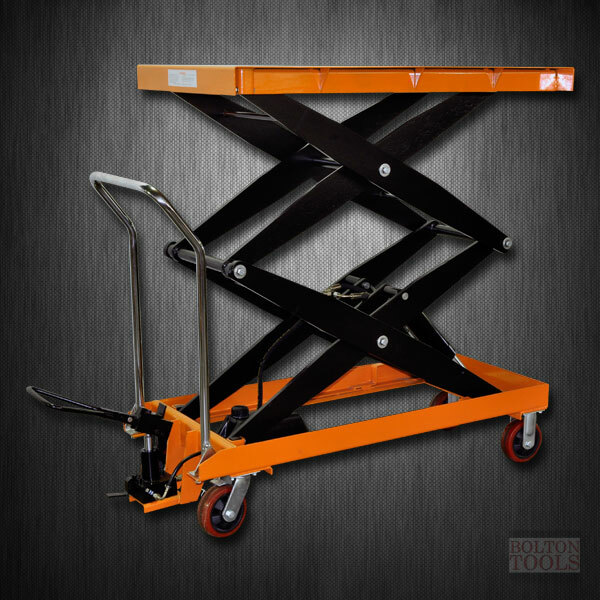 The Bolton Tools Hydraulic Lift Table Cart. 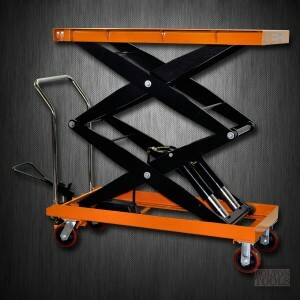 With the cart handle, pushing and pulling becomes a breeze. 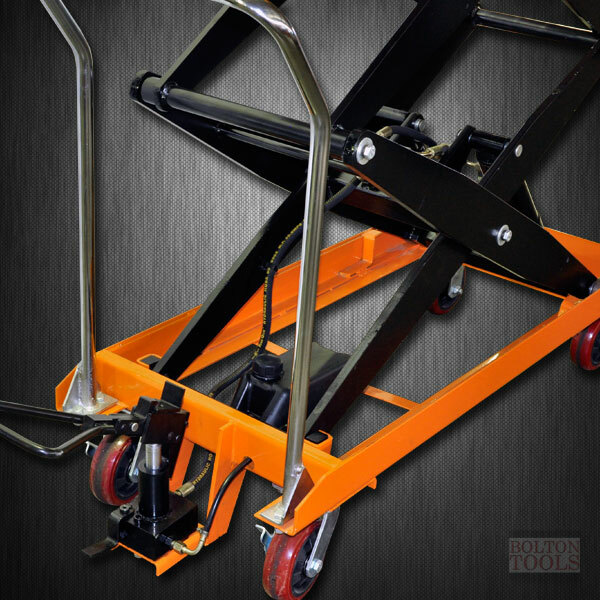 A built in double scissor leg has superior strength enough to lift up to 2200 lb. 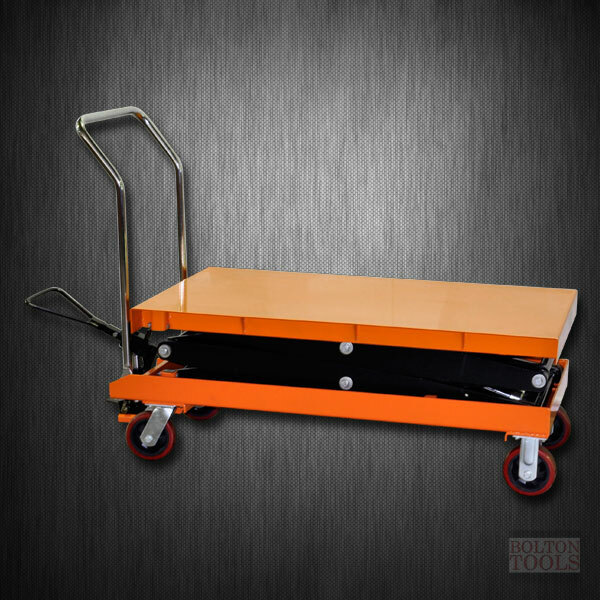 Minimum Height: US: 19.7 "
Maximum Height: US: 67.0 "
Table Dimensions: US: 47.2 " x 24.0"
Packing Dimensions: US: 55.1" x 24.4" x 20.1"